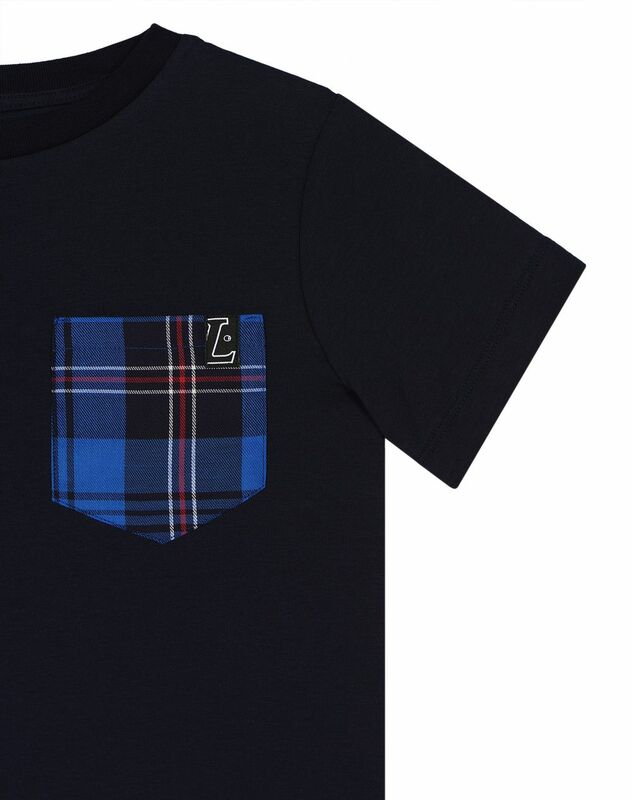 Short-sleeved mixed material T-shirt in blue cotton jersey, checkered fabric on the left side, checkered patch pocket with black L patch. 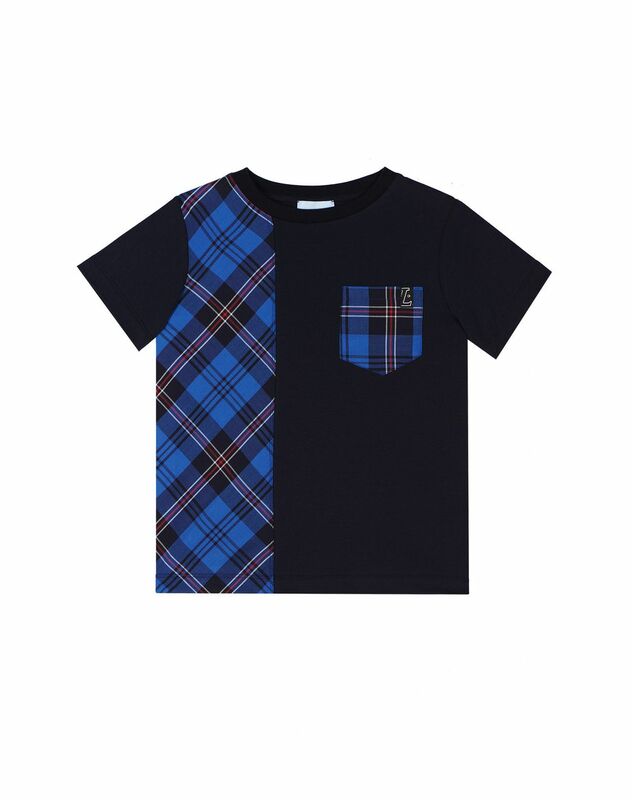 Modern and comfortable, this mixed material T-shirt is a new version of a wardrobe staple for boys with a checkered patchwork. 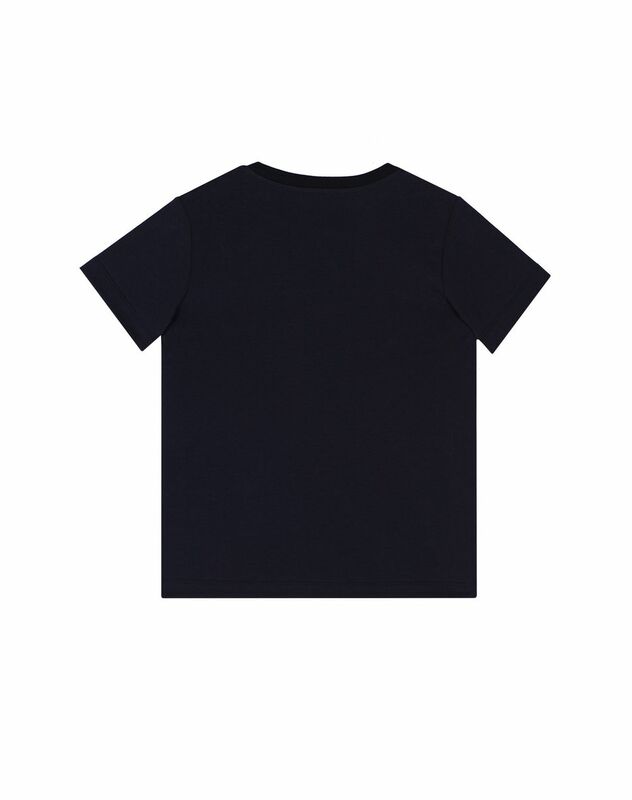 This Fall-Winter 2018 Collection model creates a trendy and stylish look.